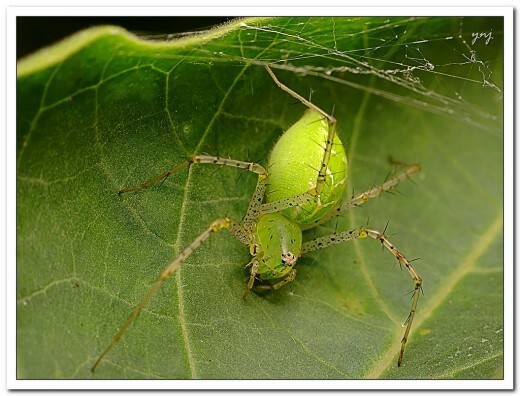 Macrophotography of spiders allows us to view details about spiders that we would not normally see; and for some people like me, views that we don't necessarily want to see. Spiders have long fascinated me and repelled me all at the same time. I have had a long love hate relationship with spiders. 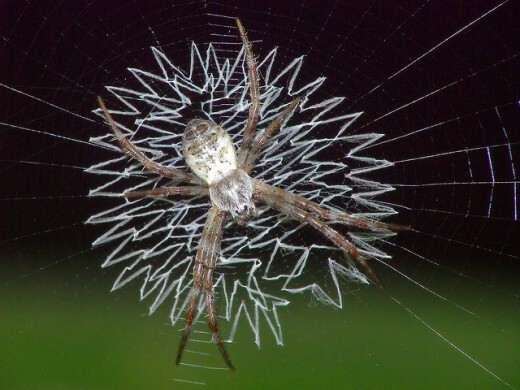 I am fascinated by their ability to build webs, and how quickly they are able to wrap up a prey. 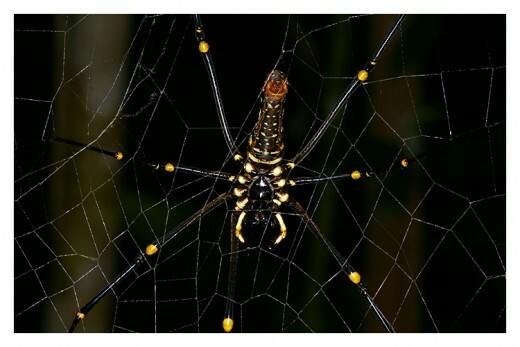 At the same time, I abhor walking into a web especially in the dark! I find them fascinating to watch as they go about their daily lives as long as it is at a time and place of my choosing. Heaven forbid that a spider should surprise me - I don't like those kind of surprises! And I don't like how far some of them can jump, especially when jumping toward me! I am told that the spider above is a Peacock Spider, and was provided this video to share concerning their mating behavior. 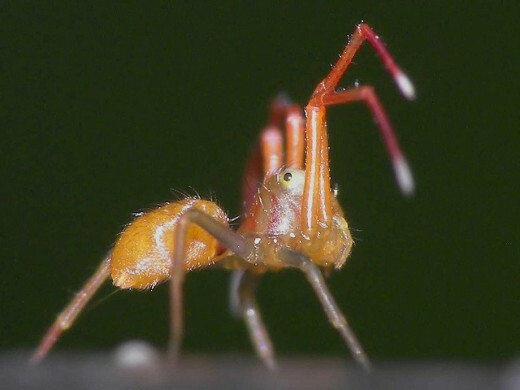 This video shows some fascinating footage of spiders performing an amazing courtship dance. I have never seen anything like this before. Macrophotography brings the small details into focus. We are able to see their eyes, even the very small ones. We can see the segments in their legs, and their invasive mouth parts. 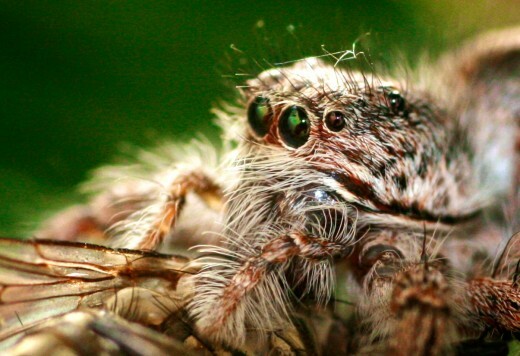 We are able to see that many spiders are very hairy, while others only have a few spikes of hair on their legs. 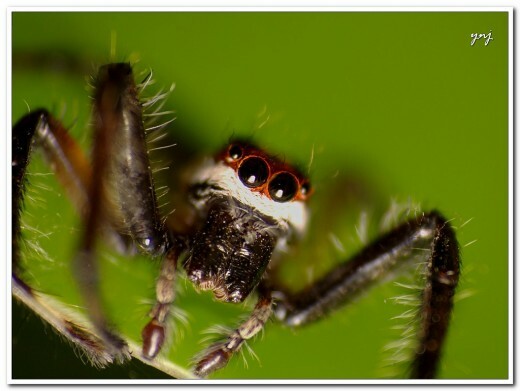 Macrophotography opens up the world of spiders to us in a way that is exciting, while at the same time sending chills through someone who has a strong dislike for these eight-legged creatures. 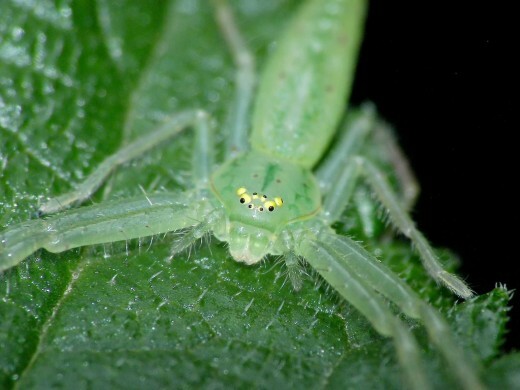 Insects have large compound (faceted) eyes. 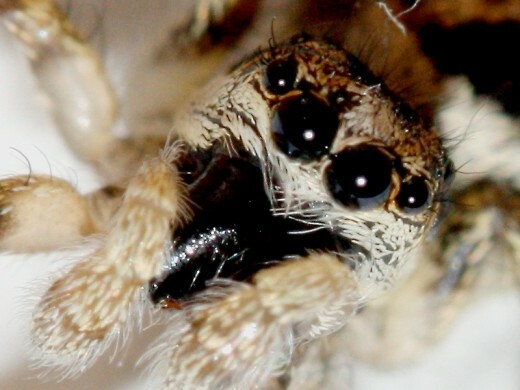 Spiders, on the other hand, have simple eyes - generally 8 of them. 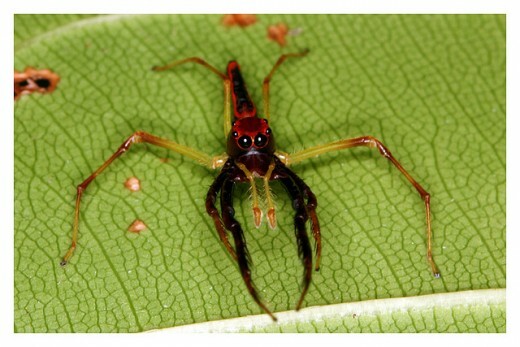 In the picture below, you are able to see the two main eyes of the spider, and a secondary pair also. The fur on its legs is striped. The spider in the middle picture is on its web. 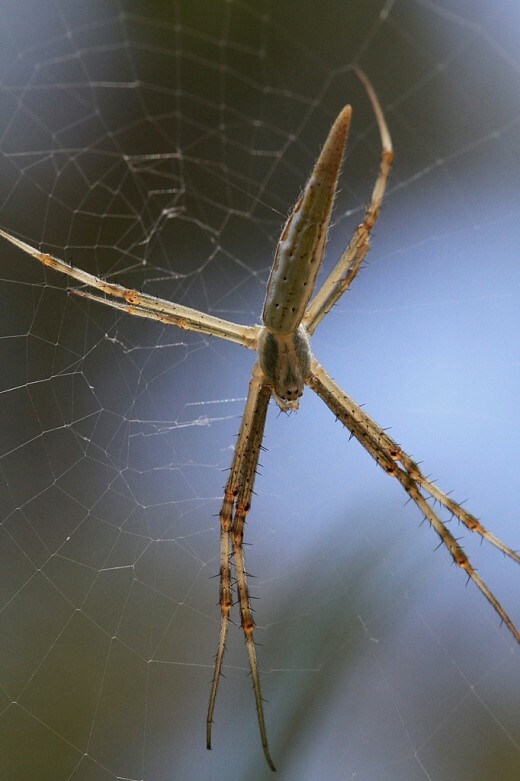 On the part of the web that the spider has woven a pattern into, notice how many strands of web were used. Macrophotography makes it easy to see that many strands were used, not necessarily one larger strand. 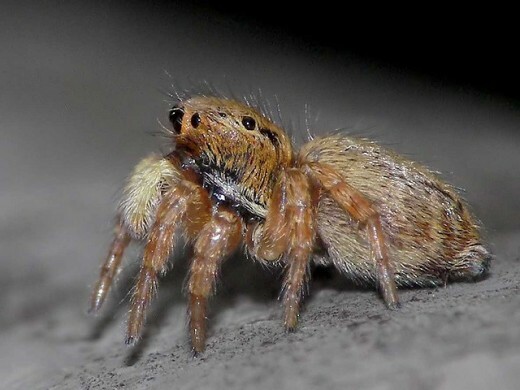 In the grouping of spiders below, look at the different kinds of fur or hair a spider has, and the locations that it occurs on. 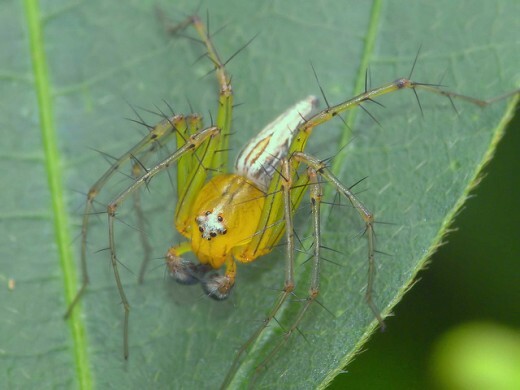 Even some spiders that have a furry down on them, can have some of the longer coarser hair coming through those areas, especially on the legs. Look at the different sizes and locations of eyes. 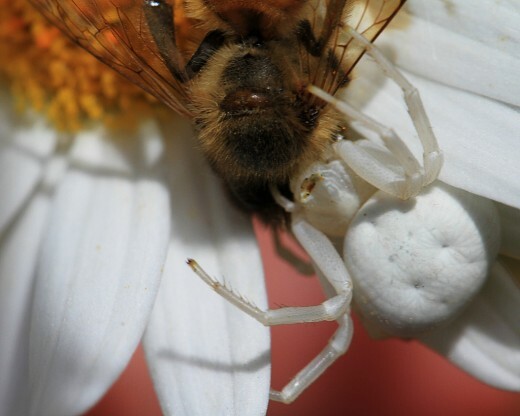 This video, made by National Geographic, shows a spider stalking a bee. It contains some awesome macrophotography that is so detailed you are able to see the venom coming from the bees stinger. 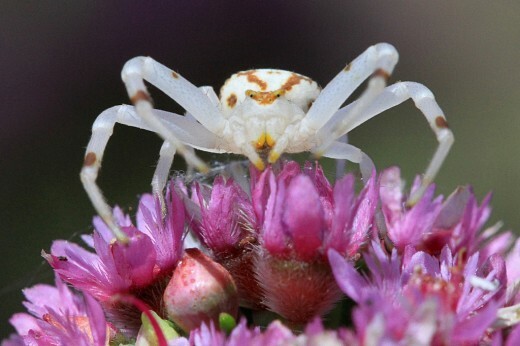 It's also interesting to see that when the spider jumps from one flower to another, it is doing so while casting out a web-line at the same time. The vinegaroon is large whip-scorpion that lives in Mexico and the southern United States. It received its name from the fact that it emits a vinegary mist when startled. The vinegaroon is an arachnid and is related to spiders. The view of the vinegaroon below, shows the tail in all of its segmented and hairy glory. The segments of the body are also clearly displayed. The site that is referenced below, that shows a vinegaroon feeding, does a great job of showing how the body changes when it has eaten and is plump. Comparing this picture, with one of the pictures on the other site is very enlightening. Through the use of macrophotography, the claws of the vinegaroon are clearly displayed in the image above. To see an interesting narrative and pictures of a vinegaroon eating a worm, click here. 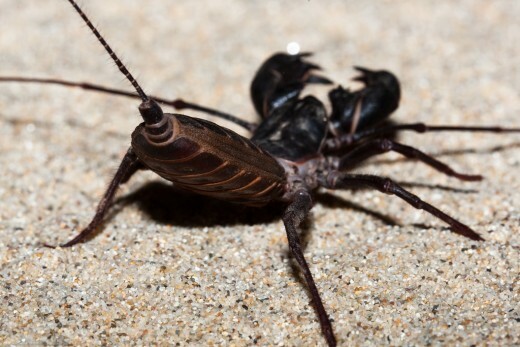 This site has excellent photos of the vinegaroon. The photos on that site show what the vinegaroon looks like from the top, and shows the two colors of the vinegaroon. Another interesting batch of spiders below. 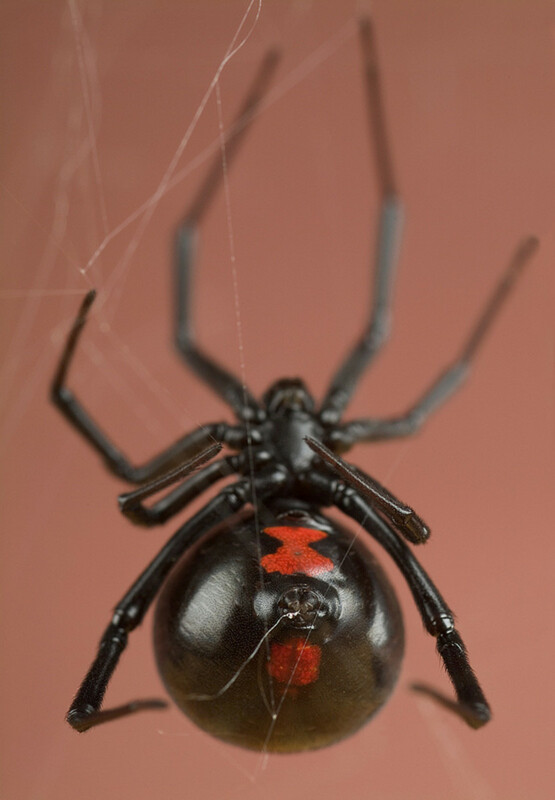 Be sure to notice the dimpling on the orb weaver. 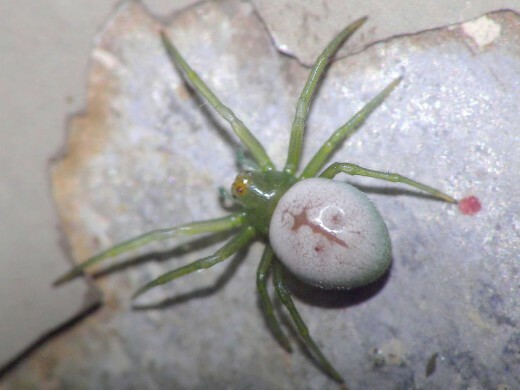 And on the translucent green spider, next to last, you can see all eight of its eyes. 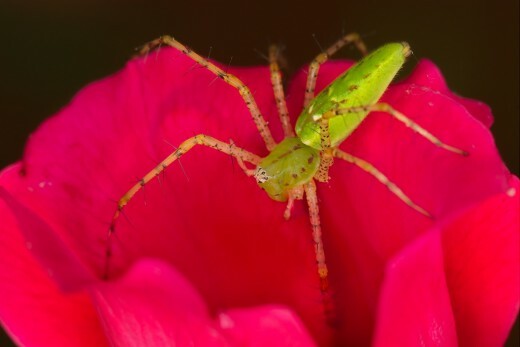 Through the macrophotography of spiders, we are able to crawl into the world of spiders without the fear that many people have toward these eight-legged creatures. For many people, including myself, I am able to view the intricate detail and fascinating features of these creatures in a way that I would not be able to tolerate in real life. 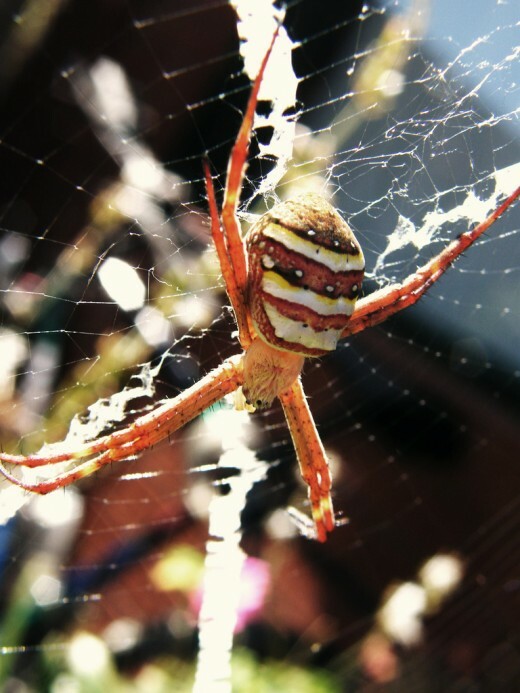 I hope you have enjoyed the tangled web that I have woven to bring the world of the spider to you - up close and personal. Comments: "34 Macrophotography / Microphotography of Spiders; 34 Macrophotographic Images plus Videos of Spiders"
Peggy W - I'm with you. They can be fascinating, but in their place. I'm pleased that you enjoyed this. This was fascinating although I will admit that I would rather have no spiders in the house...rather outside where they belong. 8 eyes! 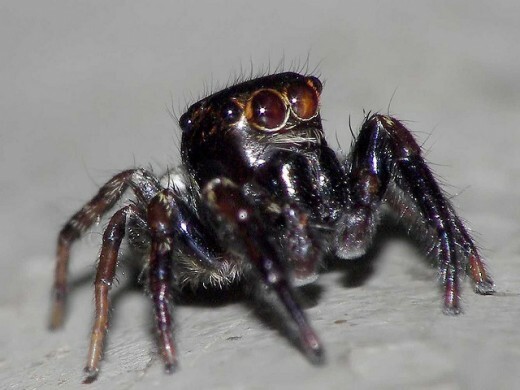 No wonder the jumping spiders are hard to catch if they get inside the house. No sneaking up on them...that's for sure! Up, useful and interesting votes. Chasing Riley - I had a hard time writing this one. I kept feeling like something was crawling on me while working on it. So I understand entirely where you are coming from. I get you would enjoy the flowers though. You might give that one a try. Thanks for taking the time to stop by and read. Thanks for the votes. This is a really cool hub. I love the layout, the amazing photos, the information on macrophotography and the amazing detail you went in to. That being said, I don't ever think I've read a hub that fast. My heart rate is definitely up. No spiders for me :) For you...voted up and interesting! fidencio1 - thank you so much. That was so sweet! It still took effort. Great job. fidencio1 - I am glad that you enjoyed them. I wish I could take credit for the photos I cannot. I just had to look long and hard through flickr to find the one I wanted to use to show my subject. These, as are all of your photos, are awesome. Great detail. hazelwood4 - thanks for stopping back by. Yest I have a few others I have created, and I have several more that I am working on. Thanks for stopping by and I will see you again someplace in the world of macrophotography! I noticed you had some other macrophotography Hubs posted too. I will check those out later on today. 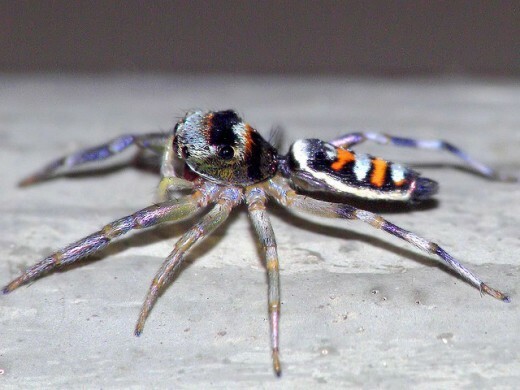 Spiders, are fascinating for sure. hazelwood4 - I am pleased that you enjoyed this hub. 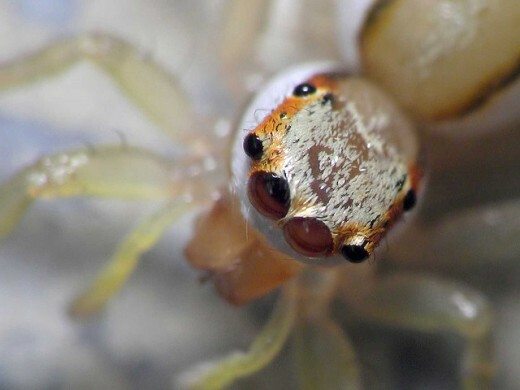 I personally like some of the other macros better, but spiders are fascinating also, so I could not leave them out. Thanks for stopping by and for commenting. Oh, my, my, my this is an awesome Hub. 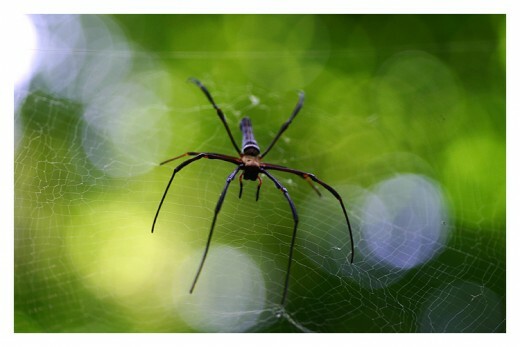 It is amazing how intricate spiders are! They are truly amazing creatures of God for sure! Weird and creepy! But are so so amazing! Great share! Thumbs up! brittanytodd - Hello, good to see you again! I am going to try to make it to the 30 in 30 forum, but I'm trying to get a hub completed. See you there. f - I'm with you... ugh! davenmidtown - you were more than clear the first time. I know that 40" is over a yard, and that is way too far for me. Good luck on the tarantula. And I won't be needing the skin either. Thanks but no thanks. Wow! 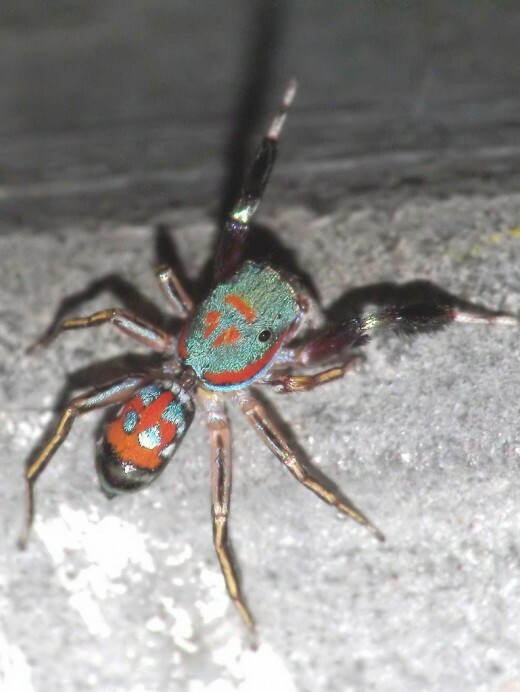 I never heard of a peacock spider before. Thanks for sharing another excellent and engaging hub. Voted up, etc. 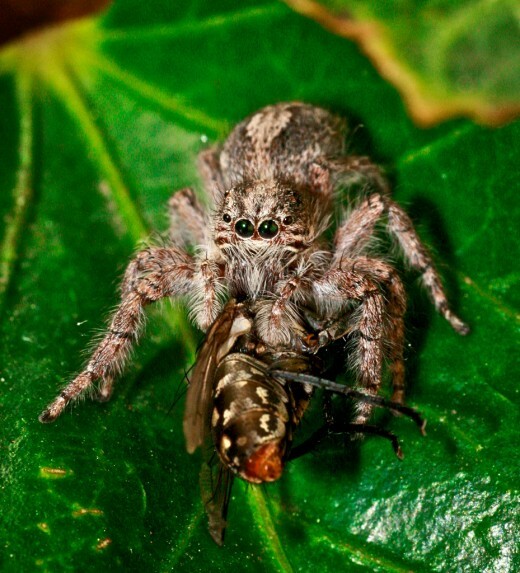 HSB: Just to be clear... 40 inches is more then a yard and the jumping spiders rarely get larger then a nickle...They also jump from their knees and not their ankles which allows them to really launch themselves. Fleas use the same method of hopping and jumping. My neighbor has a tarantula he is quite beautiful. I should send you one of his casings. 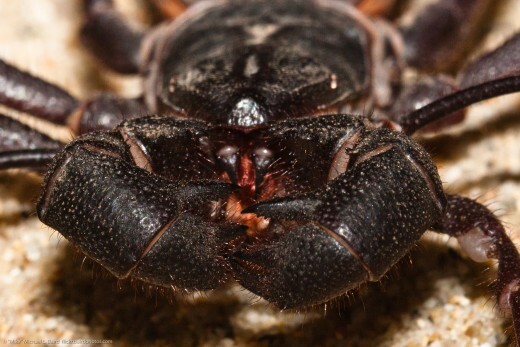 They shed their whole exoskeleton... fangs and all. If I can find a baby tarantula... I will get one. I want to be able to hold it. f - you never know, it could happen. davenmidtown - 40 inches!!!! I did not need to know that! That's the thing that nightmares are made of - my nightmares are often about spiders. And the hunter ... thanks a lot! You can have your tarantula. I like to observe them, just followed one across the street a few weeks ago. Watched an amazing youtube video of one carrying a coral snake after it had killed it. But want one for a pet - I think not. I'll stick with the dogs and cats. I want a sugar glider, but hubby says no. 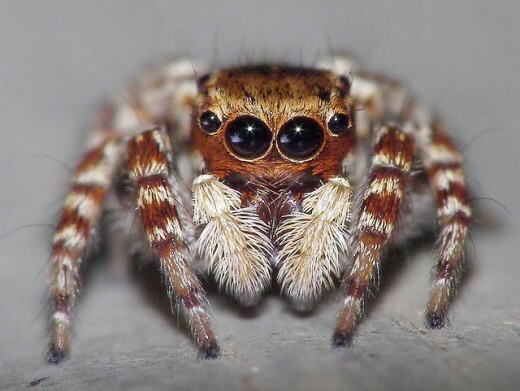 f: Don't fret over the closeness of the spiders... a jumping spider can jump more then 40 inches.... so you don't have to really close to get one on you. Then you have the hunters who crawl on the ground at night and up in your bed while you sleep, or wherever. 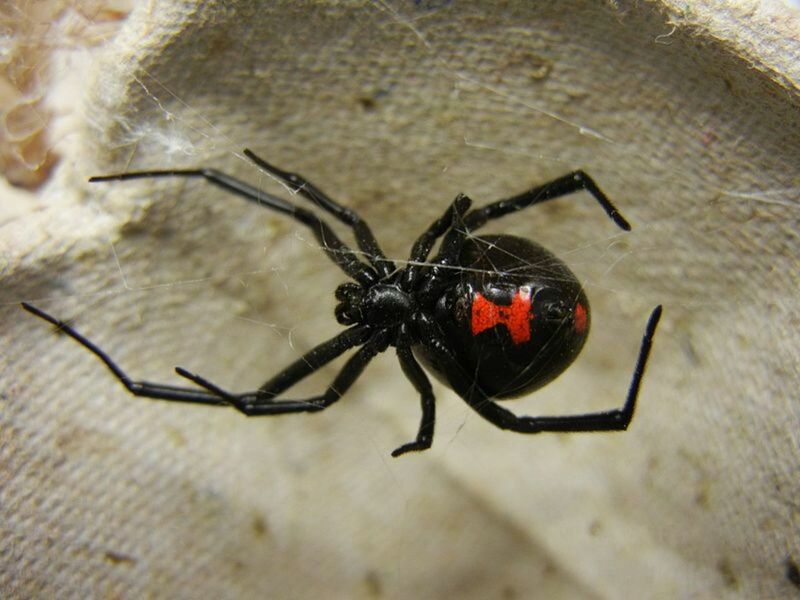 The spiders that are most feared, black widow, and brown recluse are actually pretty sedentary. They don't roam, they don't creep around too much. They sit and wait for food. 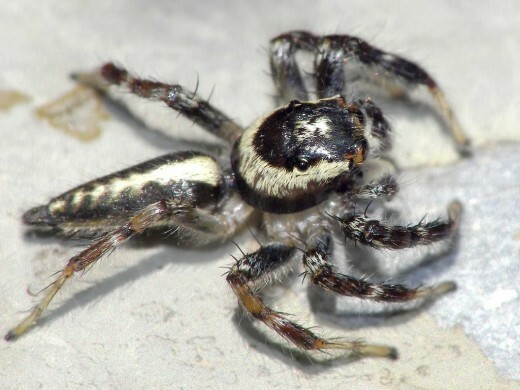 Most people who are bitten by either spider are bitten because they stuck their foot in a shoe that they did not check first or their and in a glove. Sometimes the bit comes when we put on clothes we have not worn for a long time and they have nested in there. A good rule of thumb is to check first. 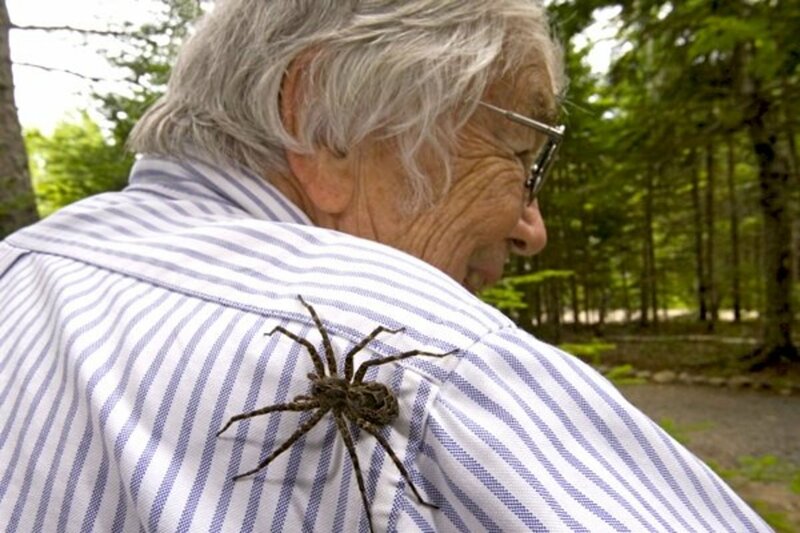 The thing about spiders is that none of them WANT to be on you. If they knew they were on you they would get right off. the problem is that we are so big they don't really see us as people. 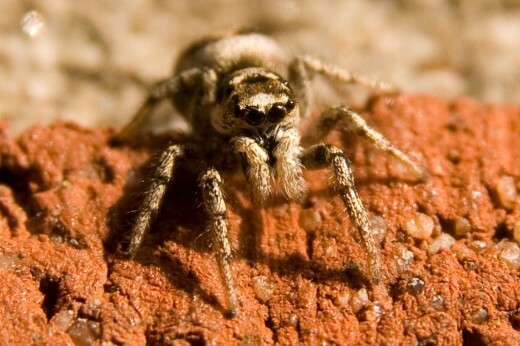 Spiders very rarely bite unless provoked or we hurt them. HSB: I may be getting a tarantula as a pet.... yay! Oh, scary, yes. But maybe the wide diffusion of such photos will cause a revival in insect jewelry. Just as the archeological excavations in Egypt caused a rise in Art Deco style jewelry in the 1920s and 30s, like with scarab beetle brooches, etc. What do you think? f - yes but they are really interesting to look at knowing they aren't going to jump at me. 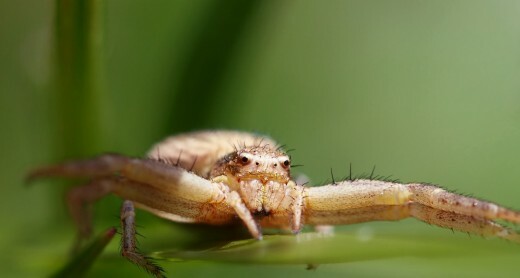 But the macrophotography does take some of their more repulsive features and make them even scarier, don't they!?! I know what you mean; it's just that with the macrophotography it seems as if the spiders are at the tip of our noses ... (ugh)! f - I'm with you. I am not crazy about spiders unless I get to pick the time, place and distance. Macrophotography makes it easy! Amazing is the word, which brings a whole range of qualifiers: from amazingly photogenic, to amazingly ... ugh! (smile). Tanks for taking the time to read and comment. These photographs are amazing. Spiders are too. They work so hard and are so complex. Thanks Homestead for a great look at them. f - yes, that is quite true - I just never knew spiders went to so much trouble. f - yes they certainly have the moves, especially when it comes to courting! Thanks, zzron! Pleased that you enjoyed it and came by for a visit. 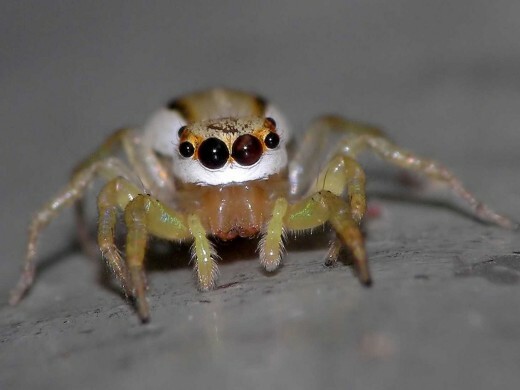 Wow, jumping spiders! These creatures sure know how to move! f - thanks for the votes and for the compliment. I'm not terribly fond of spiders myself, but I managed to overcome it for a short period of time. I have added a video that you might want to watch. davenmidtown - thanks about the heads up on that video, and yes I did have to add it. That courtship dance is really quite amazing. I have never seen a spider exhibit such behavior. It almost reminded me of a geisha girl waving a fan. Awesome. Thanks for stopping by and for the share. Rising Caren - you might want to check out the video I added about the peacock spider and its mating display. Totally awesome. I would not have ever thought a spider did what is shown so clearly in this video. I'm glad you enjoyed the hub. It definitely might not be a good idea to show it to him, but I like the fact that I can look at them this way without having to worry about coming into contact with them. So pleased to see you here, and thanks for sharing your thoughts with me. 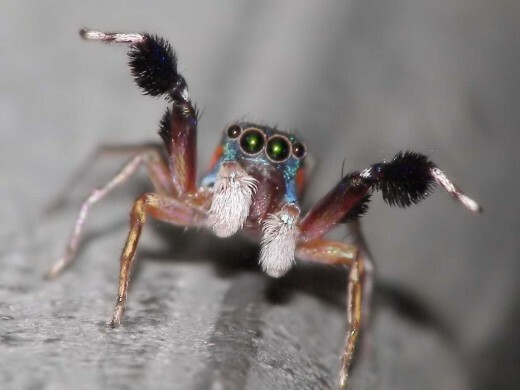 HSB: The first picture is peacock jumping spider and they are truly amazing to watch. Great hub... the vinegar spider from Mexico is awesome too. Well produced hub; voted up. I went "whoa" when I saw these pictures and my hubby went all "what are you looking at" and he tried to look at my computer screen, so I pulled it away and he starting saying "looking at guys?" To which I replied "if you want to look, you can, but I don't think it's a good idea because of your arachnophobia". To think he's scared of spiders, but not me. Also, that vinegaroon really looks like a scorpion! I almost considered showing it to hubby since he's not scared of scorpions.